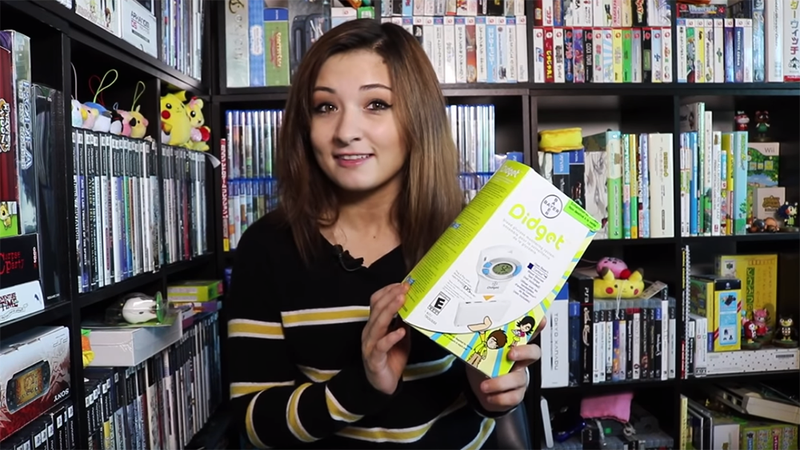 In a new video dedicated to the Glucoboy and the Didget gaming peripherals, game historian Kelsey Lewin digs into some blood-oriented devices. In the video, Lewin walks through the history of two devices that were made for the crossover audience of “people who need to test their blood glucose levels” and “people who love video games.” The Glucoboy and the Didget, released for various Nintendo handheld devices, were fundamentally about rewarding children for monitoring their blood glucose. Like her previous video about the Game Boy Sewing Machine, this one is chock full of information about a peripheral that most people would never see or even find out about. I particularly appreciate that she digs deep into the negotiations that device creator Paul Wessel had to go through with Nintendo to launch the Glucoboy on the Game Boy Advance platform. What I find most interesting about the story that Lewin tells is that the two games originally included with the Glucoboy were both RPG-ish in nature. Lost Star Saga is particularly fascinating to me because I would have a hard time working forward from blood test results to a turn-based RPG, and yet that game definitely exists. While Lewin doesn’t reveal how effective the device really was, it is fascinating that the healthcare company Bayer was responsible for creating the Didget, the evolution of the Glucoboy that appeared on the Nintendo DS. Bayer, at least, seemed to think that it could all work out.